Every bride has dreamed of this day for as long as they can remember, so of course, each outdoor wedding has its own unique personality and theme. Getting that perfect venue you have always envisaged is one part of the big day, however styling your perfect day can be completely different for each bride as you choose which details you will add to make it your own. We have pieced together some of our favourite little luxuries, from sweet and petite, to charming and exotic, ensuring that you will give your outdoor ceremony that personal ambiance! Without further-adieu here is our dream wish list for you to be inspired when styling an open-air wedding garden ceremony. Planning to have live music for your wedding ceremony – yes please! Romantic, unique, mesmerising, and tear capturing, live music as you walk down the aisle is literally, music to the ears. 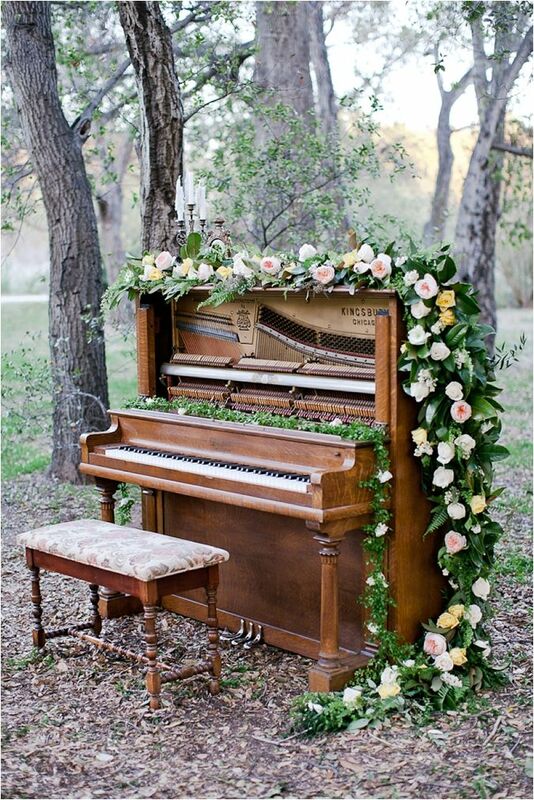 Placed in an outdoor setting, a one-man pianist show will set the mood for your perfect day. The perfect idea to set the mood and guide your guests through your fairy like garden to where they will watch you marry the person of your dreams. 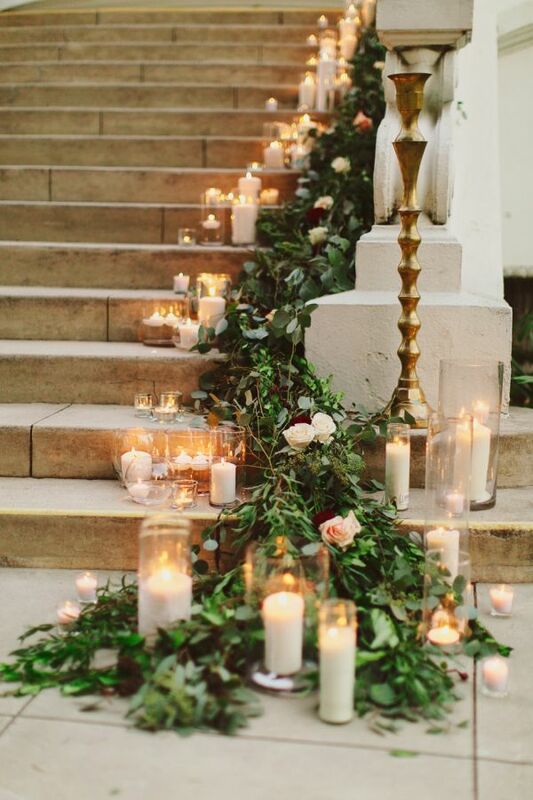 Simply use the candles to either line the aisle as you walk down to your prince charming, or line the path as your guests make their way to the ceremony site. Come up with a striking design with the help from your venue and florist to make your special day shine bright. 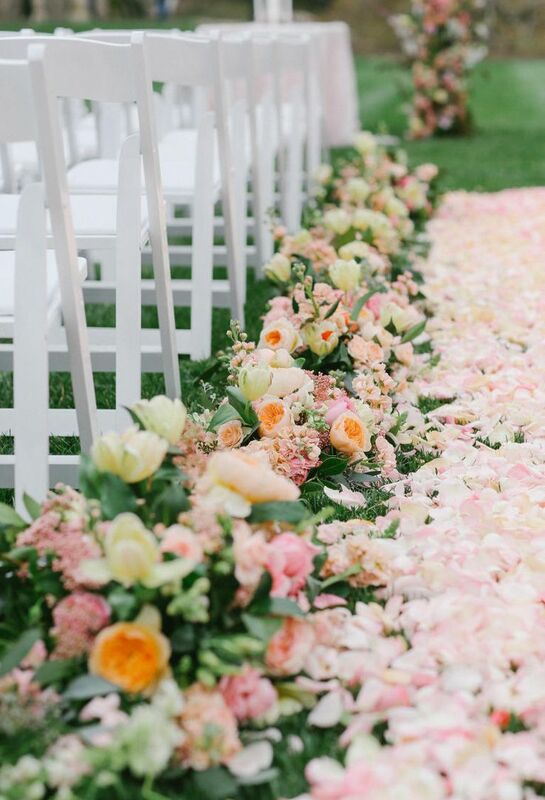 Lining the aisle markers with delicate floral’s has to be one of our favourite wedding ceremony ideas! It’s unique, rustic, pretty and dainty, leaving your guests to feel as though they have entered your magical garden. Select your own favourite wildflower, or select an array of beautiful florals and place it in full along the aisle of your chairs. Set yourself an amazing ambiance to exchange your vows. Design your beautiful backdrop unique to your theme, as it that will be captured in all your most important photos for the day. 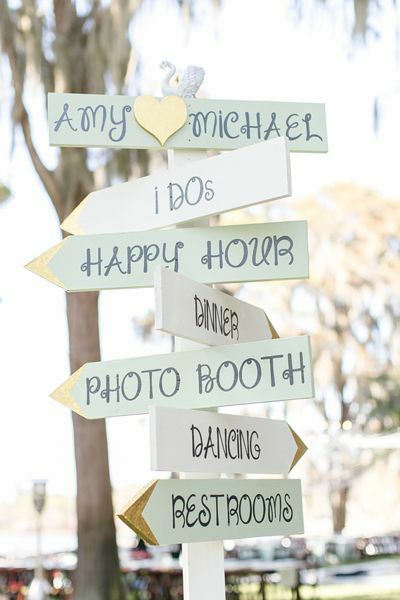 Be as dramatic or as simple as your heart desires, and match your floral theme with the rustic aisle markers, creating an surreal ambiance to celebrate your magical love. You can be as creative as you wish when it comes to signage. Share with your guests a little bit of humor to get the mood ready! 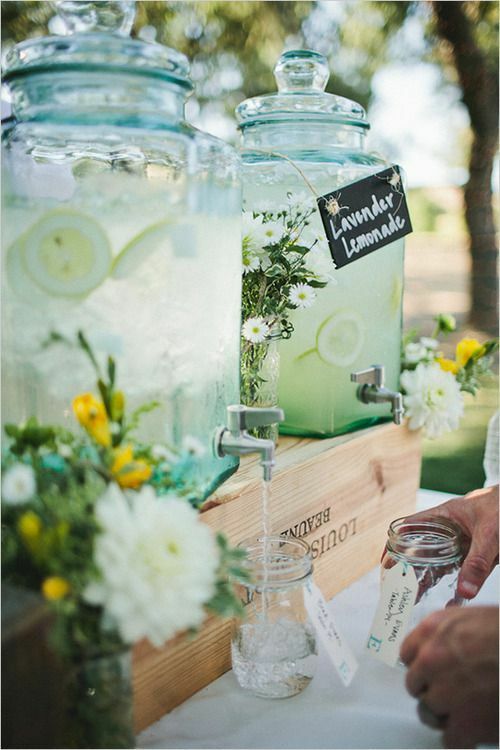 If you’re having a Summer wedding you can’t go past having the perfect refreshments for you guests as they watch you say your vows. Have it located conveniently near the ceremony so they will be encouraged to grab a glass before sitting down.